Are you trying to figure out what type of degree to consider for higher education? The most important thing to consider when choosing a degree course is what you can do with the degree. This is essential since the importance of getting a degree is to increase your chances of landing your dream job. One of the most rewarding degrees to consider is a marketing degree. 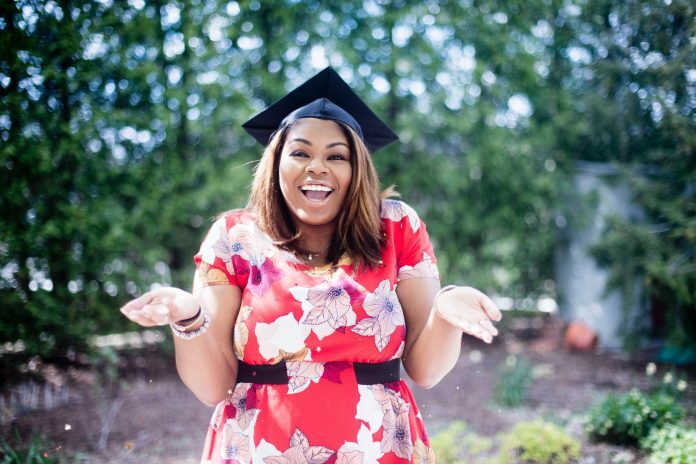 To validate your choice, consider these 5 jobs you can do with a marketing degree. A marketing degree is proof that you have skills and knowledge required to work in virtually every industry. This is because marketing is very important in every aspect of business. Regardless of whether you’re doing market research, advertising, public relations, or other fields, marketing skills will come in handy. Check the careers below that you can do with a marketing degree. Every business is going online these days. And, marketing is important online just like regular marketing. This means that there are many opportunities in the field of internet marketing. You can get such a position in various industries including working for magazines or newspapers. Additionally, you can find a position working for a website, manufacturing company, or any company that has a service or product. When considering online university degrees in the UK, a marketing degree is a smart idea. There’s a chance to get a job as a marketing manager in charge of managing other departments in a company. And, it will be your responsibility to ensure all are working together to maximize profits. Marketing managers are tasked with understanding market demands and adjusting operations appropriately. You can enhance your job security further with a master’s degree in marketing. The work of a product manager resembles that of a marketing manager. The difference is that a product manager handles a specific product not formulating a large-scale marketing strategy. The minimum requirement to qualify as a product manager is a bachelors’ degree in marketing. However, you can get a higher degree to remain relevant in this very competitive field. The role of a sales manager is to supervise sales teams. You’ll be required to ensure that markets are segmented among members in the sales team. Additionally, the sales manager is tasked with ensuring that team members reach organizational targets. You’ll also be required to hire and train new members to join the sales teams plus managing the incentive program. The minimum requirement to become a sales manager is a marketing degree that you can back up with professional certification. This will truly distinguish you from the pack. Businesses need to spread word about their products and services. This is where the advertising manager comes in handy. You’ll have to apply your marketing knowledge to work with the marketing department to ensure that the brand grows. This requires coming up with innovative campaigns to let potential customers like your products or services. Before earning a degree, it pays to understand what It can do for you. A degree course worth your money should be the key to a high paying job of your dreams. Ashly William is a freelance writer with years of experience, creating content for varied online portals. Her content is published on many national and international publications. She has expertise in writing about Education.